Because of want to make castella cake,i bought one bottle of mirin.Only a small bottle.If only use for making castella cake,it really a bit hard to finish the mirin.I don't want keep the mirin too long.If not i will forget about it.So i look for some recipe that using mirin. 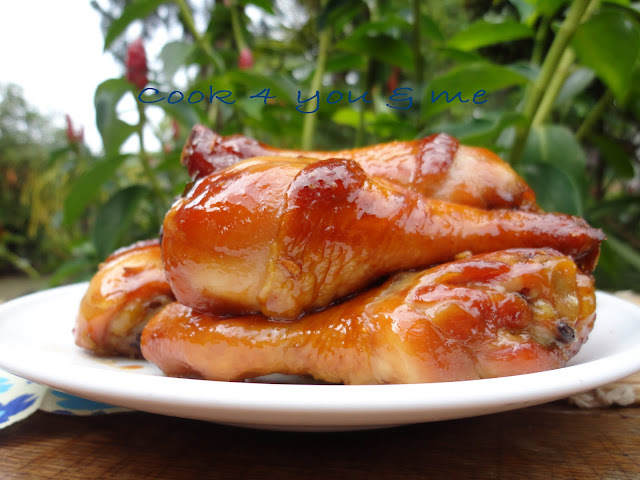 Cook Teriyaki sauce till boiling and continue to simmer for 3 mintues at low heat.Leave cool. 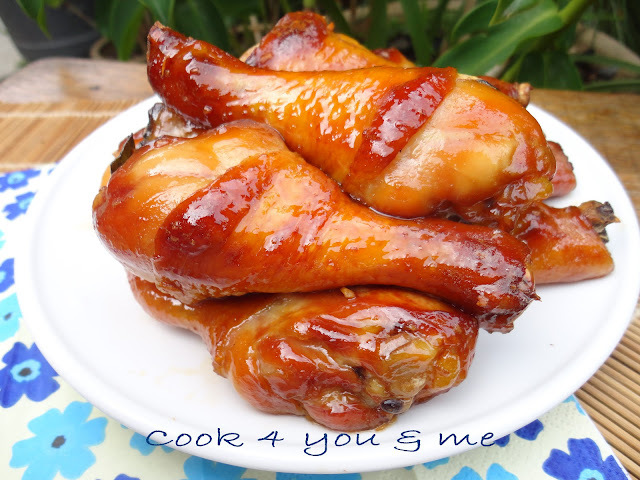 Put the chicken,other ingredients and Teriyaki sauce in a bowl.Mix well.Marinate at least 2 hours. Bake the chicken in preheated oven at 220'c for 35 mintues or until cooked. I shared ur picture earlier on FB and some asked me where's her recipe, LOL. Aiya.... you killed so many of us with suspense. U're going to pay for it. Make me some of this to bring me back to life. 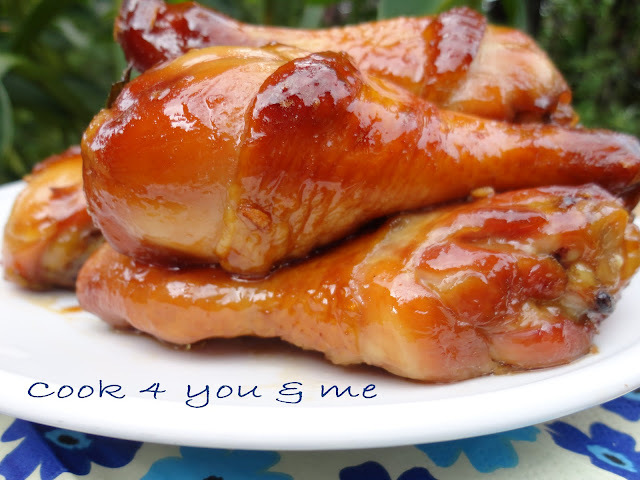 I admiring the glossy glaze on your chicken... I love this recipe and would love to cook this for my family. Your chicken looks very delicious. What brand of mirin and soy sauce you used? wa lau eh! this is something to die for..it is beautifully done!! i remember now your name in the earlier potluck which you couldnt make it.Nice to get connected here! so sorry for last min i say i cant go for potluck because i have to go for charity.. I like this dishes. It is yummy. I am not sure what this mirin is but I am sure the chicken must be delicious! OMG! This is damn good can?! I wanna make this!! !